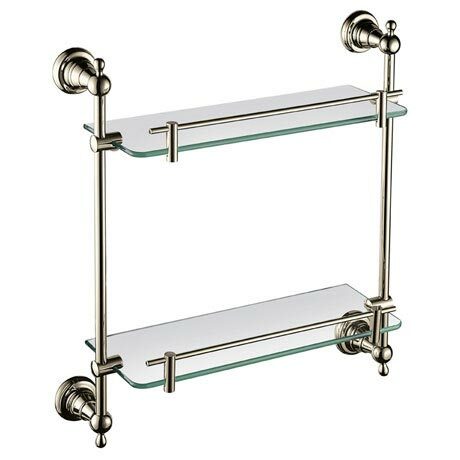 The Holborn Double Glass Shelf is a stylish accessory perfect for adding a finishing touch to a classic or traditional styled bathroom. The shelf provides practical and ample storage for shampoo bottles and toiletries. Manufactured from high quality materials and beautifully plated in a vintage gold finish.